Your product review or content can be impressive and more engaging when videos are used. Video blog wordpress themes are greatly useful when you need a blog or website where videos will be used for communicating with and engaging the audience. A variety of themes are available out there to allow you to display your videos in the way you want. Our awesome collection of video Blog Templates lets you sit back and pick out the one you are looking for. 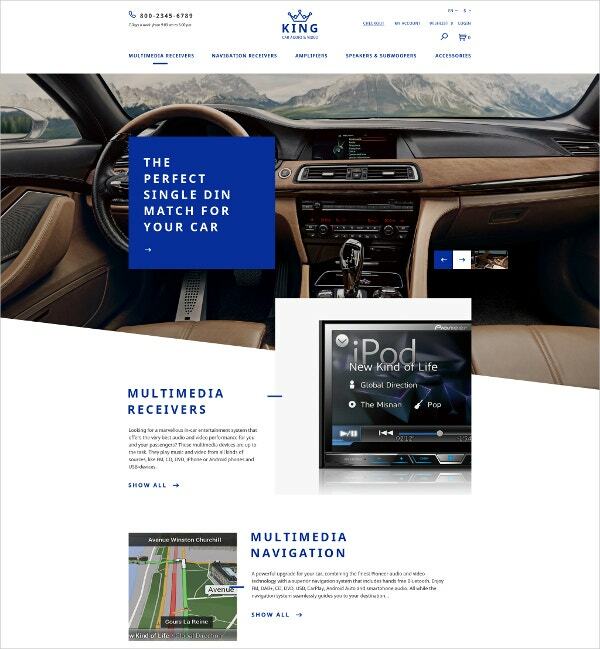 The car audio video open cart template is a nice and clean looking template that perfectly suits online automotive and repair businesses. It includes features such as responsiveness, slider, multilingual support, Ajax search, newsletter subscription pop-up, product badges, font icons, cross browser compatibility, documentation, PSD included, drop down menu, favicon, easy customization, etc. 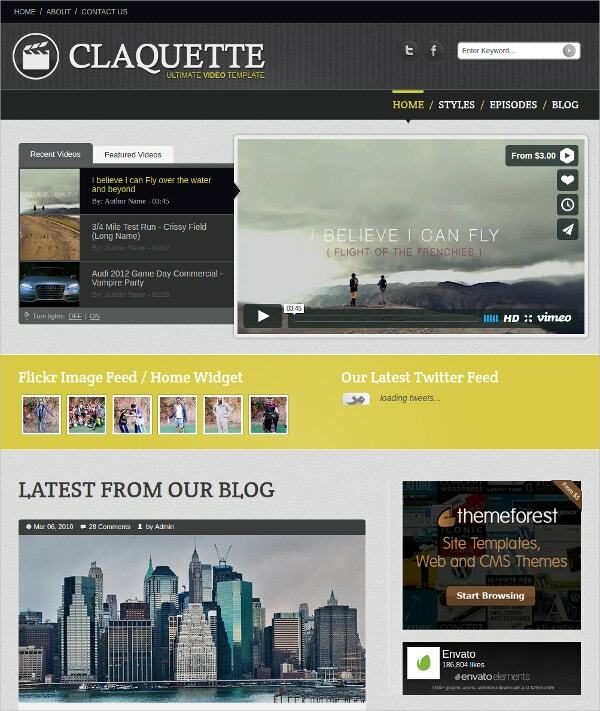 You may also see Creative Blog Templates. 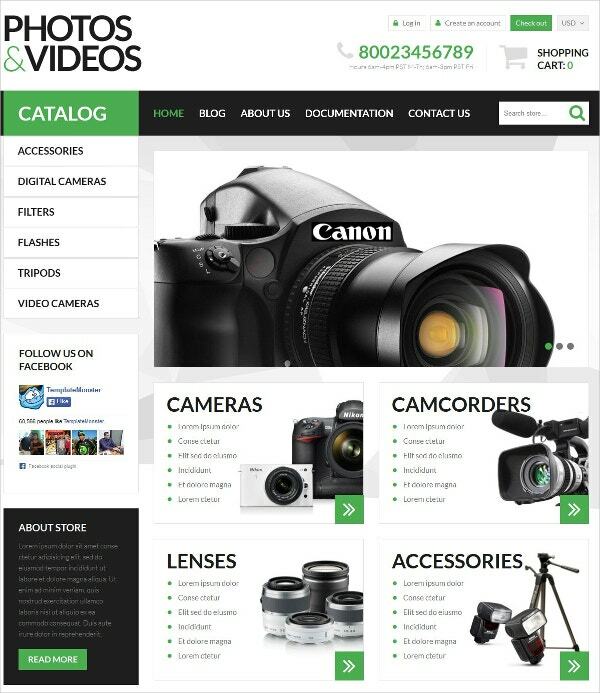 The Vlog is a beautiful wordpress theme with powerful videography. Magazine websites can use this template. It is loaded with numerous features including automatic video import, video thumbnails auto detect, over 200 post layout combinations, speed optimization, watch later and cinema mode, website monetization, easy branding, highlighted widgets, unlimited sidebars, etc. 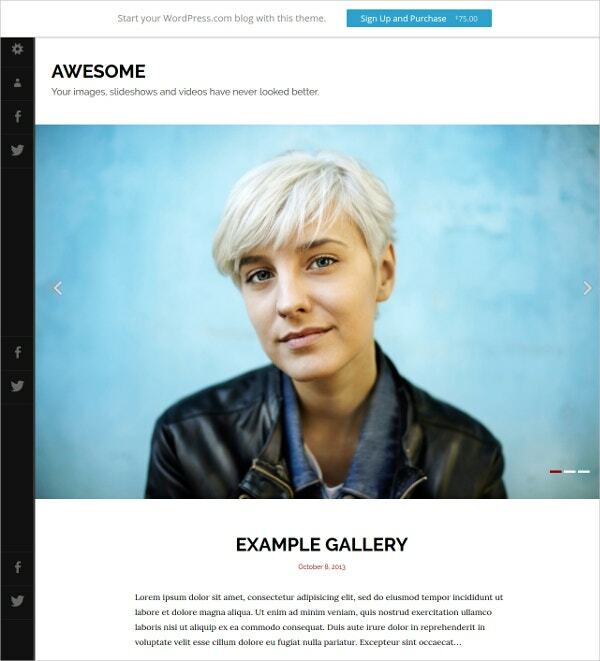 You can also see Photography Blog Templates. This template is a perfect choice for media and video websites. It has an impressive appearance and excellent functionality. Other features include SEO readiness, 2-step installation, filterable portfolio, multiple color options, custom widgets, built-in theme customization, free lifetime updates, built-in theme customizer, fantastic sliders, advanced back up, multilingual support, etc. 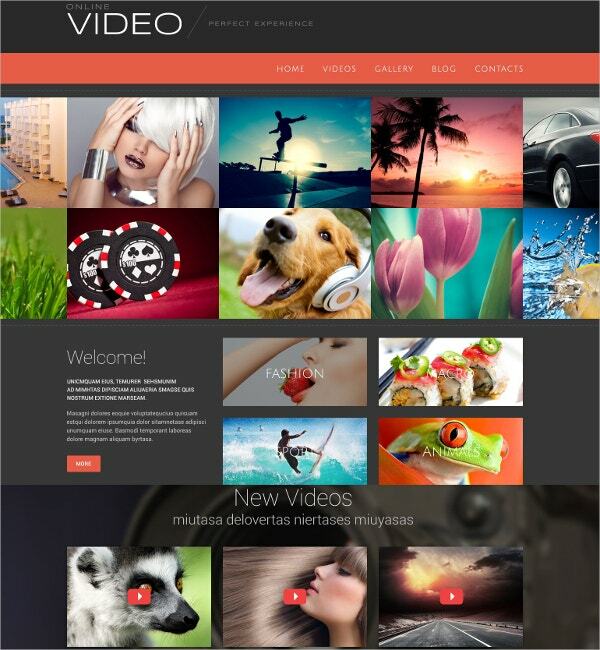 This template is good for video websites and blogging masters because of its awesome functionalities. This includes 40+ blog styles, grid style homepage, list style blog homepage, one click demo installation, 10 category page styles, responsive layout, build-in page templates, 6 unique header styles, color choice, unlimited color choice, multilingual support, etc. 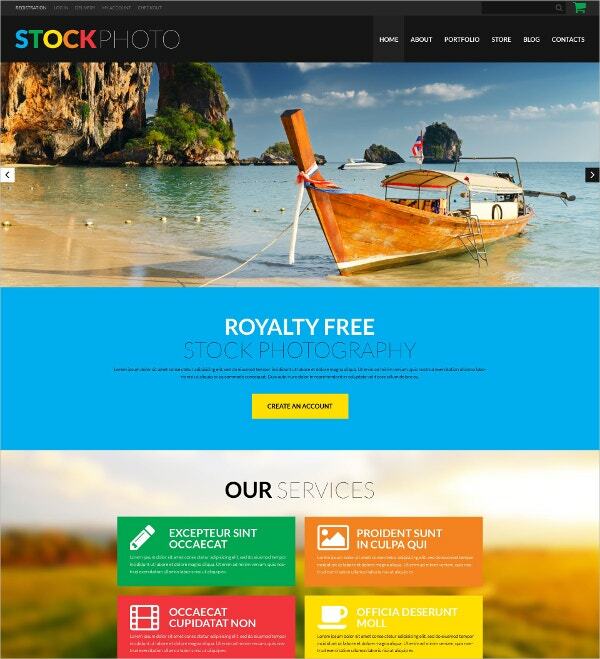 This 100% responsive theme comes with 24/7 free support and includes 7 to 15 high-resolution stock images and photos for use of a lifetime. Other features include cross browser compatibility, social media options, tooltips, dropdown menu, sliced PSD, commenting system, Google map, Favicon, sample content, back-to-top button, advanced theme options, etc. Quality checked by Envato, the Doctype Claquette is fully responsive and loaded with numerous other useful features like Google web font, superfish menu, jQuery enhanced, colorbox, flickrfeed, latest tweets, 4 pre-defined colors preview, cross-browser compatibility, FitVids, PSDs and documentation, 12 HTML files, compressed PNGs, well documented files, elastic fullwidth image slider, etc. 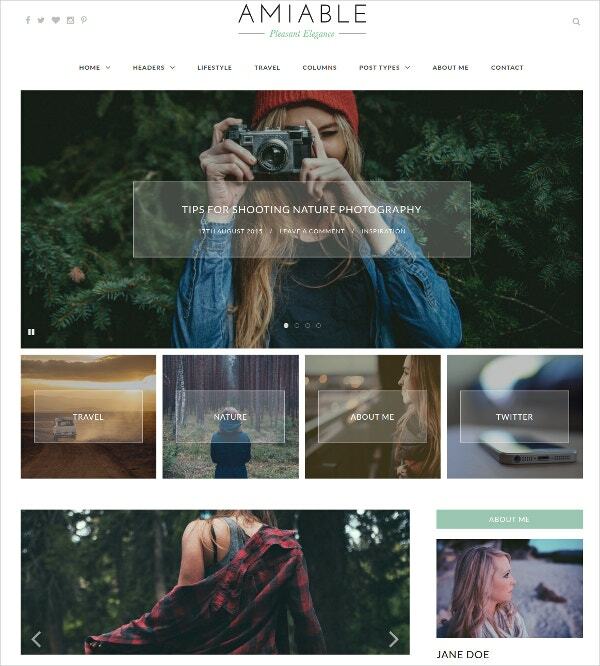 FREYJA is a versatile wordpress theme template created for bloggers. It is bestowed with features like infinite scroll, 8 header layout, easy control panel, 5 blog layout, 3 promo box, different header for home page and individuals posts, sticky sidebar, translation readiness, featured slider, etc. It is provided with free support and updates. 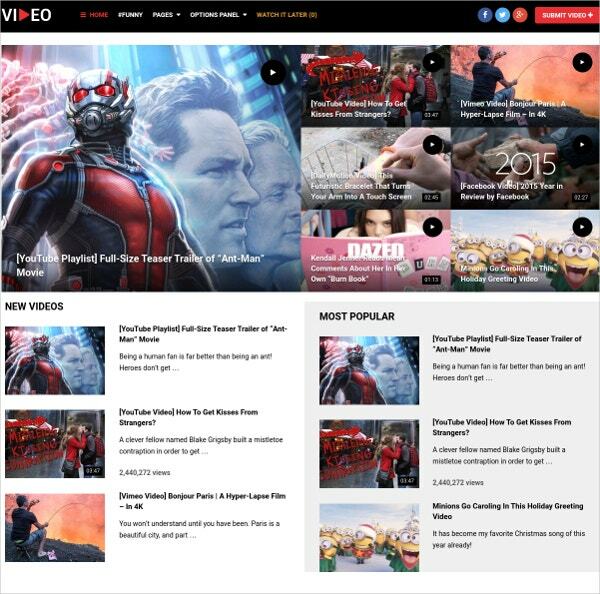 This responsive wordpress theme VIPRESS can be used by online magazines and video sites. It is loaded with various useful features like dark and light themes, modular homepage, 4 sliders, Favicon, unlimited colors, 600+ Google fonts, translation readiness, simple social icons, login widget, custom 404 page, custom sharing buttons, news ticker, etc. This theme called ‘Awesome’ is highly responsive and includes six different post formats including aside, standard, image, video, quote, and gallery. Its other features include 3 widgetized areas (footer right, footer center, footer left), wordpress custom menu option, custom backgrounds, custom headers, theme customizer, ‘aside’ post format that resembles Facebook note updates, and distinct quote post format. Coming with a 24/7 free support and 7 to 15 stock images and photos for lifetime usage, this Shopify theme is fully responsive, has a lazy load effect, cross browser compatibilirty, cusrtom page templates, tooltips, social options, Favicon, dropdown menu, advanced theme options, alternative module layouts, commenting system, Google web fonts, and Google map. 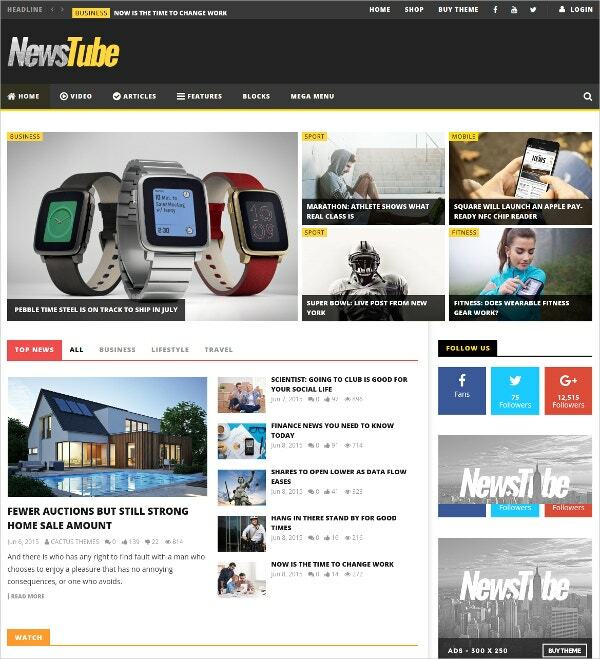 The NewsTube theme is well organized, clean and suits sites related to videos, blogs and magazines. 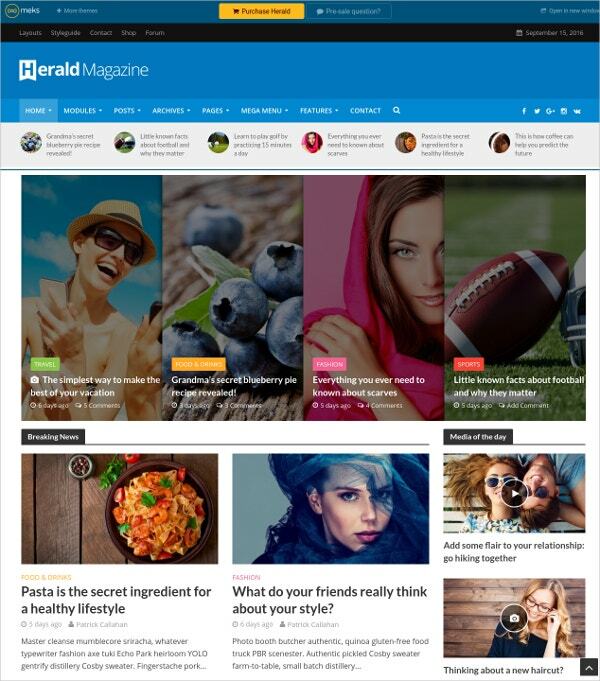 Its features include retina readiness, fully responsiveness, extensive theme options, flexible theme layouts, quick installation, lots of shortcodes, multi-page posts, live posts, Ajax navigation, drag-and-drop page builder, user engagement widgets, users subscription, front-end submission, etc. 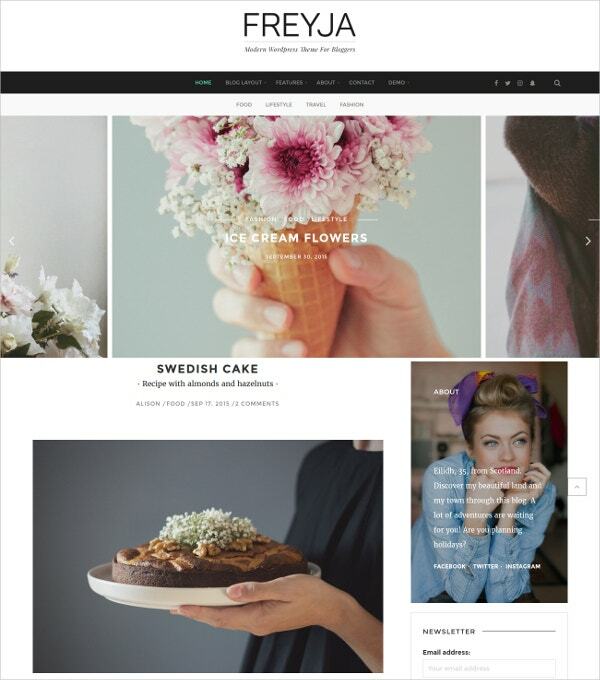 Amiable is a clean and elegant looking wordpress theme for bloggers. 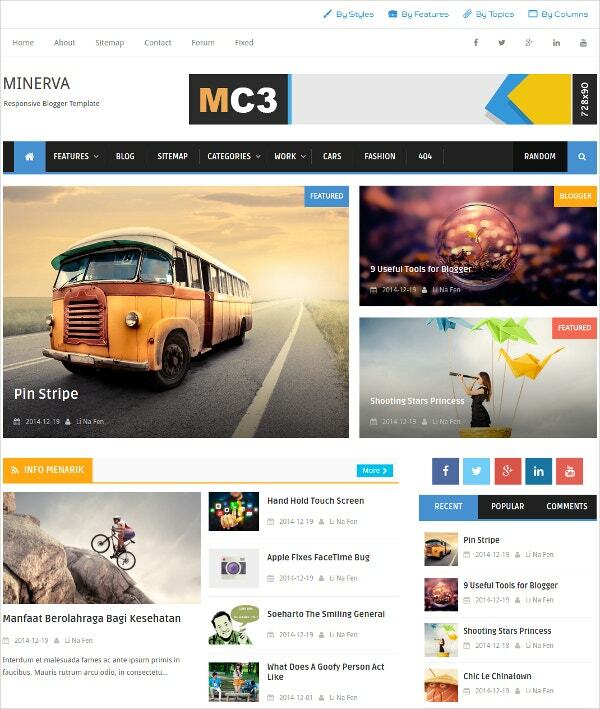 This fully responsive and retina ready theme offers multiple layouts, cross browser compatibility, contact form 7 plugin, central page templatge, customize blog post appearance, infinite color options, 24/7 support, facebook feed widget, featured post and page slider on homepage, etc. This is an adaptive and responsive wordpress theme. Its trendy handcrafted layout and built-in options help you to establish your online identity; therefore, it is a perfect fit for personal and professional video blog sites. Other features are easy logo integration, color changing options, widgetized areas, icon menu, translation ready, multisite support, etc. This is a Woocommerce template with a 100% responsive design. Its features include fully editable, multilingual support, 80+ short codes, custom post types, 2 step installation, lifetime free updates, advanced backup, custom widgets (commenting, social sharing, etc), SEO ready, fantastic sliders, customize typography, built-in theme customizer, filterable portfolio, and multicolor options. Quality checked by EVanto, the True Mag theme is stylish and clean and suits video portfolios, magazines and blog. Its features are responsiveness, self-hosted videos, short-codes for video, built-in video widgets, video auto play, several built-in video widgets, Google rich snippets, 3×2 navigation styles, powerful theme options, responsive Google Adsense, auto update, etc. The Keylime theme has a responsive design and is easy to configure. Built on Bootstrap 3.2, this template has post formats, off canvas menu icons, standard posts, full width hero parallax image, music posts, gallery posts, video posts, custom statistics widget, social media icons in footer, numerous customizable color options, etc. 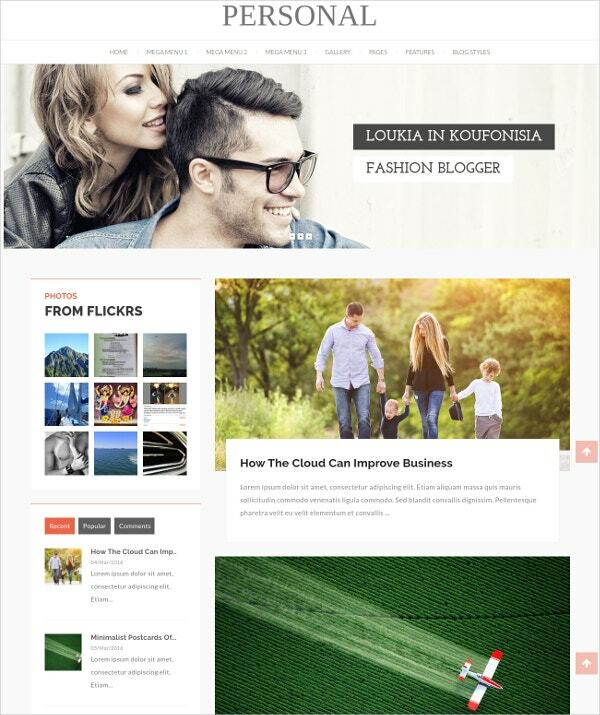 The Redplus is a clean and elegant looking template built specifically for magazines, blog and business websites. Its features include modular pages, unlimited colors, live customizer, unlimited layouts, Ajax searching, review system, demo content, responsive designing, 600+ Google fonts, 8 article listings layout, like button, popup sharing buttons, and many more. Designed by the Arlina design team, this minimalist template is great for news, blogging, photography, etc. Its features include email subscription widget ready, 3 columns footer, page navigation menu, drop down menu, Ads ready, right sidebar, gallery post, responsive social bookmark ready, post thumbnails, tabbed widget ready, SEO ready, and many more. 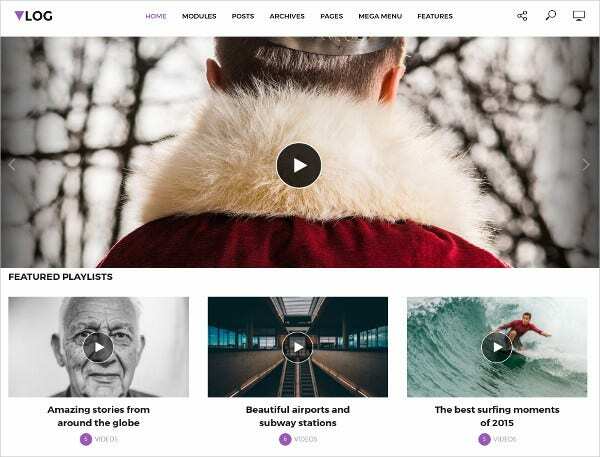 This is a wordpress theme designed for blogs with video content. It is loaded with many useful features such as like/dislike button, low bounce rate, watch later feature, playlist, Youtube integration (for view counts), SEO ready, speed optimized, responsive, opinions panel, narrated video tutorial, unlimited domain usage, detailed documentation, and many more. Video content generates 3 times more monthly visitors to a site than any other type of content. Videos are the future of content marketing. Cisco has predicted that by 2017, 69% of all consumer online traffic will be accounted for videos. Take advantage of this! Choose a video landing page template from the above collection and be on your way to success! 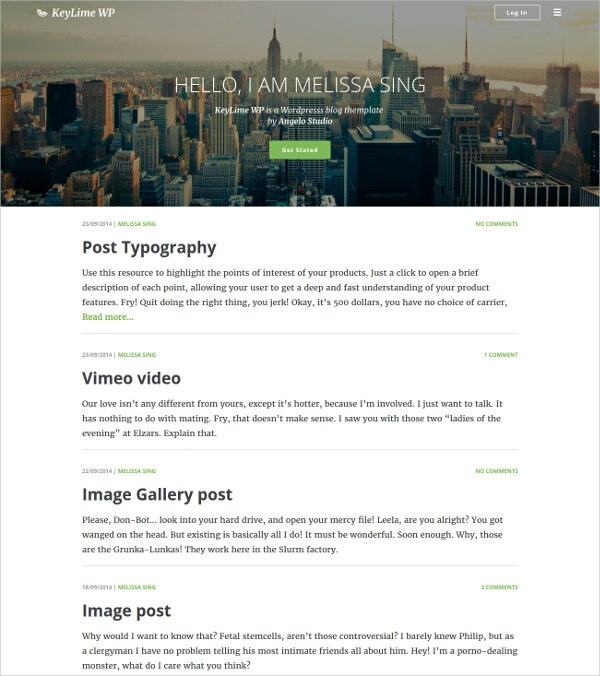 You can also see Free WordPress Blog Templates.